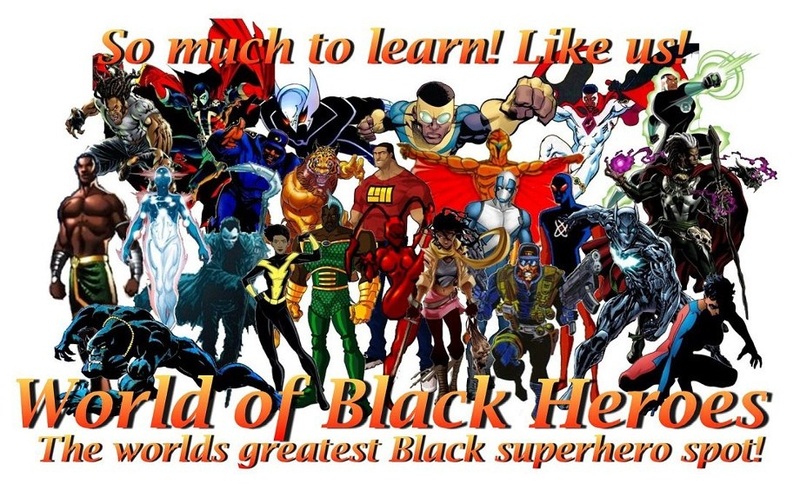 Here at World of Black Heroes we know there are new black superheroes each and every day. We need you to help us stay up to date on black characters from all across the comicverse. Submission guidelines are as follows. Biographical info must be submitted in a Microsoft word document, separate from the three picture files. IMPORTANT! plagiarized submissions will be disregarded. For submissions to Beautiful Black Men or Beautiful Black Women send us the suggested name and a picture of the selected personality to Worldofblackheroes@gmail.com with the appropriate headline. How about corrections? How would one go about submitting those? You can either email them or post corrections in the comments section of the article in question. We usually respond in 24 hours or ASAP. Do these have to be characters that are only in the Marvel, DC, Image and Vertigo universes or can it be black characters from an independent universe? We are open to ALL submissions granted it’s illustrated in a professional manner. I have finished a thesis paper on Black Heroes. It talks about the negative stereotypes that the early issues of top Black Heroes in Marvel and DC. How do I submit this to your website? Just email it Troy, I’ll read it before putting it on the website! I am putting the finishing touch a 130 page Graphic Novel spec: LIGHTNING BOLT The secret of my speed. Can I post the first 14 pages seeking some expo and collaborators in Artists? Hmm … I left a comment here earlier and it seems to have been deleted. Hi, Ryn. Not sure why there is no reply button under your comment, but I just wanted to say thank you. My best guess is Lucida Bold Italic (if anyone else is curious).